Looking for transport between the airports and cruise ports of New York? New York has three different cruise ports: Manhattan Cruise Terminal, Brooklyn Cruise Terminal and Cape Liberty Cruise Port in New Jersey. New York also has three airports: John F. Kennedy International Airport (JFK), Newark International Airport (EWR) and LaGuardia (LGA). 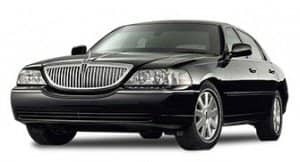 Whatever connection you might need, I think this limo service is always the best option. Why? It’s fast and cheap. Moreover, having your own private car and driver is safe and simple. The limo services is like a taxi service, where you order a private car and driver. Make sure to book as early as possible. The sooner you book, the cheaper it is. Count on $20 per person and up for a ride, depending on the airport, cruise port and the number of people you’re sharing the car with. Toll and tips are both included in the price, so no unpleasant surprises! Travelling between two different states like New York and New Jersey? The limo service has an added benefit for you. Yellow cab drivers are allowed to charge you a special, premium price for these interstate drives whereas limo service drivers don’t do this. Would you like to stay in New York before or after your cruise? Read about transportation from the cruise port to your hotel (or any other destination in Manhattan)!